During November 2017, Héctor Mediavilla, comissioned by Spanish Cooperation Agency (AECID), designed and conducted 3 workshops in a row in 3 African cities (Dakar, Niamey and Bamako). 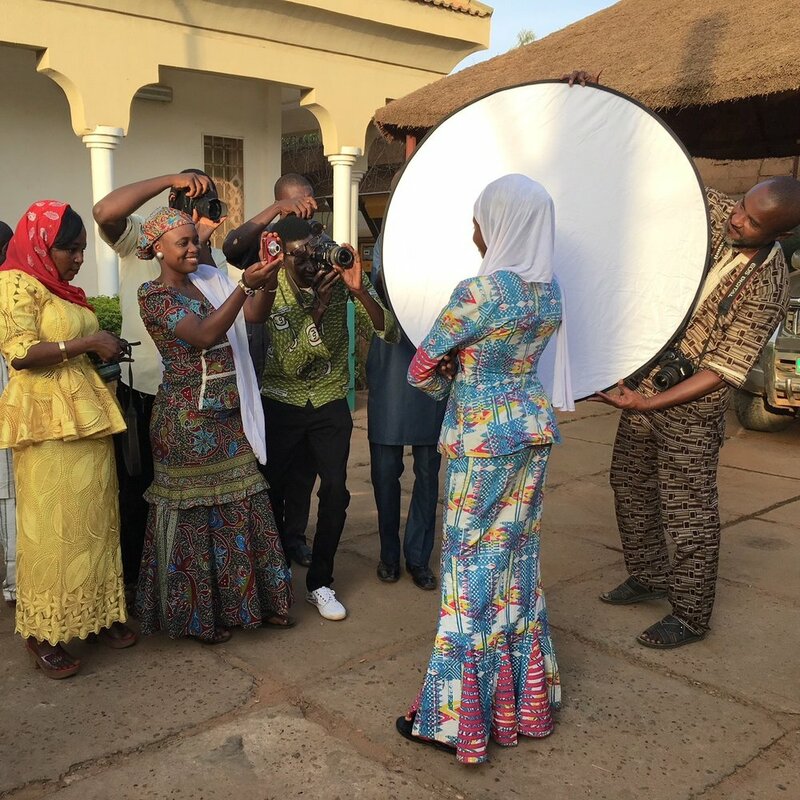 35 young African photographers from Senegal, Niger and Mali completed a one-week workshop, during which they improved their photographic skills and were supported to develop a personal project of their interpretation of Afrotopia (Felwine Sarr). A reduced version of all 35 projects were exhibited in the Conservatoire des Arts et Métiers Multimédia in Bamako from December 5th, as a part of the Rencontres de Bamako 17, Biennale Africaine de la Photographie, section Off. First photographic workshop conducted by Héctor Mediavilla with a group of 8 photographers, who were selected with the collaboration of Pedro Pablo Viñuales (national coordinator). The third workshop in a row took place in Bamako. The group was very different from the two previous ones. They were all in the first twenties and they are all second year Multimedia students at the CAMM. Filmed and edited by Lamine Dieme (LADIEME), this video show the opening of the double exhibition held at the Conservatoire des Arts et Métiers Multimédias (CAMM) of Bamako (Mali). Launch of the hard-cover 165 pages catalogue of the project Afrotopia Acerca, which includes a selection of the works of the 35 African photographers, who took part in 3 workshops conducted by Héctor Mediavilla last November in Dakar (Senegal), Niamey (Niger) and Bamako (Mali). There is also an introduction text by the Spanish Ambassador in Mali and a text by Héctor Mediavilla.